Handmade Natural Dead Sea Salt Bath Treatments by Noir Naturals, in New Orleans, Louisiana, Baton Rouge, Louisiana, Ponchatoula, Louisiana & Houston, Texas. Soak in Dead Sea Salt to soften and exfoliate skin. Soaking also helps replenish lost nutrients to the skin. 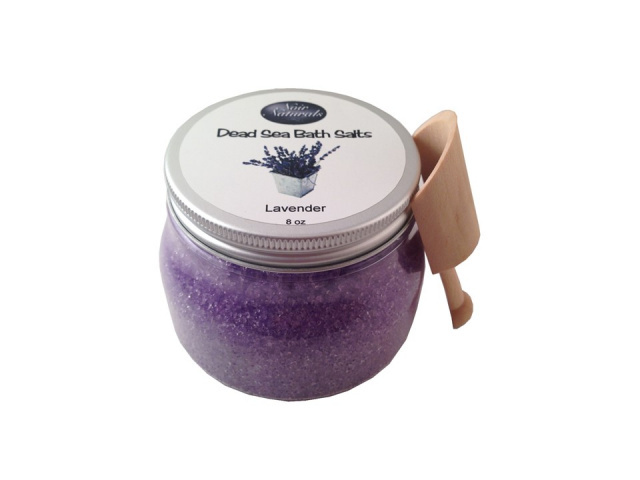 Dead Sea Bath Salts come in Lavender Essential Oil and Unscented for those with sensitive skin.